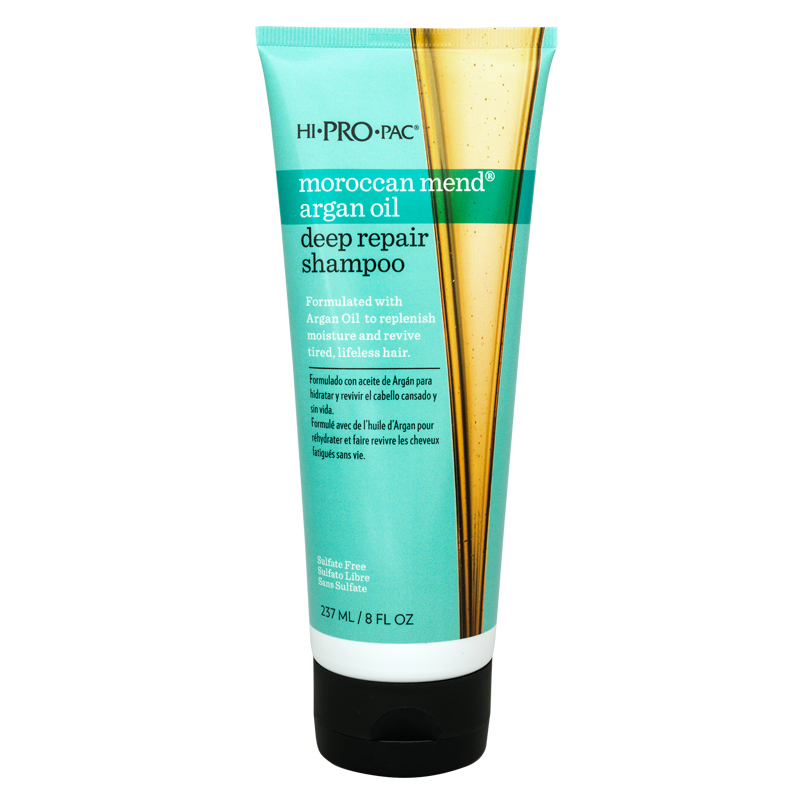 Formulated with Argan Oil, a natural oil native to Morocco, this intensely moisturizing shampoo is effective for use in the gentle cleansing of damaged, dry, frizzy and overworked hair. 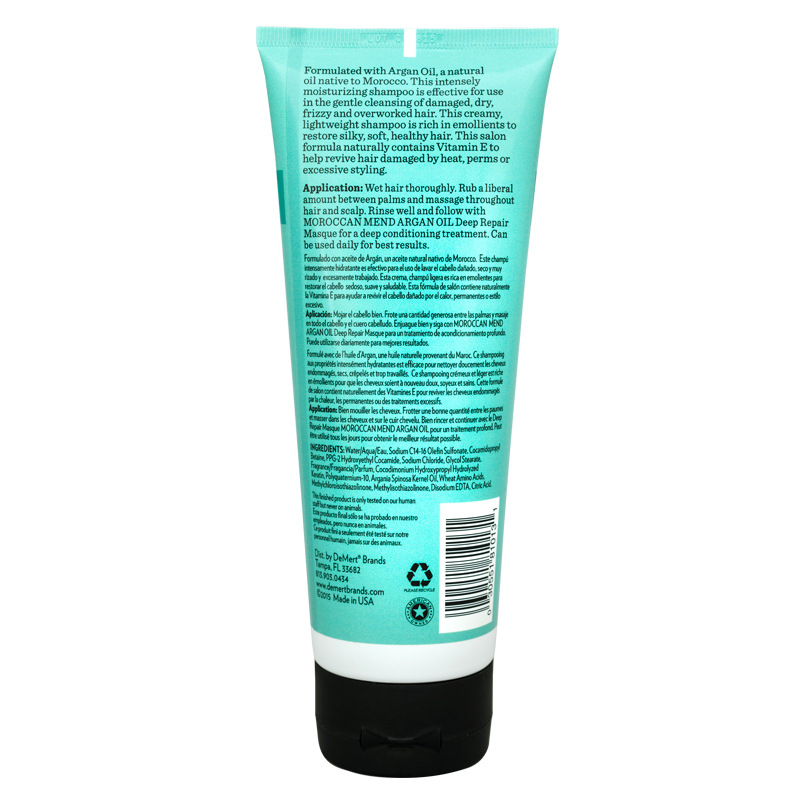 This creamy, lightweight shampoo is rich in emollients to restore silky, soft, healthy hair. This salon formula naturally contains Vitamin E to help revive hair damaged by heat, perms, or excessive styling. Application: Wet hair thoroughly. Rub a liberal amount between palms and massage throughout hair and scalp. 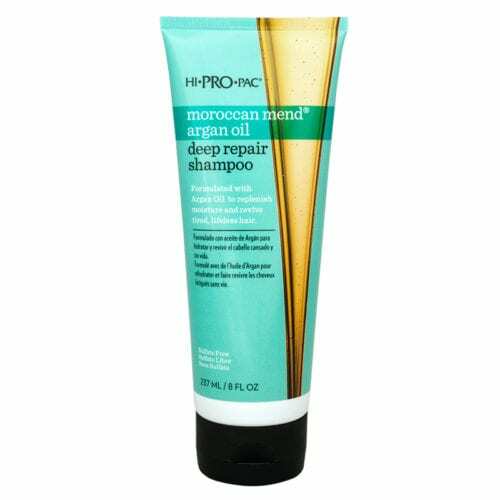 Rinse well and follow with Moroccan Mend Argan Oil Deep Repair Masque for a deep conditioning treatment. Can be used daily for best results. Warning: Avoid contact with eyes. If contact occurs, rinse immediately with water. Keep hair away from open flames. For external use only. Keep out of reach of children.